It has been six weeks since my Lola girl has entered our world. While her presence has been nothing but pure joy, I have also been slapped with the definition of exhaustion in the process. This time around is different in a variety of ways. One being the fact that now I have a three year old to chase around, entertain and care for while trying to feed, change, burp and soothe a newborn. Naps you ask? Why naps are for the weak - or the really, really lucky ones. There are days I look at the clock and think, woah, has it really been three hours? Many times it's noon before I even finish my daily cup of coffee and am able to sit down for a bite to eat. 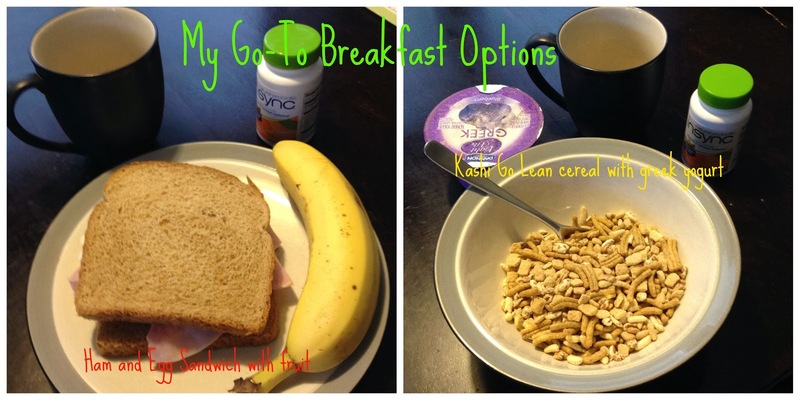 So you can only imagine what my daily meal plan consists of, right? Most likely it's left over chicken nuggets, a handful of kettle chips and a string cheese - which definitely does not help promote a healthy digestive system balance. But once again, as I mentioned before, this baby experience is much different the second time around. Not only does my meal plan lack any nutritional value but my body has not sprung back as quickly as it did with Cohen. Maybe it's the fact that I'm now the big 3-0 or maybe (but most likely) it's the lack of a healthy diet. And then 2014 rolled around (ridiculously faster than ever may I add) and it was time for those New Year's resolutions. This was my chance to actually make a good attempt at a healthy diet and lifestyle. But not just for myself but because of the little nugget I am producing nutrients for on a daily basis. So a few weeks ago I decided that I was going to do this and I was going to do it right. I took my first outing with both kids to Meijer to stock up on healthy foods before the new year hit. We were enjoying our free cookie from the bakery and a stroll through the clearance aisle when I stumbled upon the vitamins and supplement area and a sign that was labeled "Condition Specific." I'm sure any pregnant woman can agree that the whole pregnancy thing takes a toll on your body in ways you never even knew were possible. Those hormones are some crazy things I tell you! But both times I have been pregnant, I have had a hard time adjusting and regulating my body back to it's digestive and healthy self. And if that system isn't working the way it should, how in the world am I supposed to feel good about eating the right way? I noticed a section of probiotics and the green and orange Insync bottle caught my eye. Insync Probiotics is a daily gradual release caplet that offers six strains of natural probiotics as well as over three billion live bacteria that help with a digestive system balance. Insync Probiotics also has a special GI Guard formula that protects the probiotic cells which ensures that more good bacteria arrive live to your intestinal track. This was exactly what I needed to add to my diet to not only help balance out my postnatal digestive system but to help encourage my healthy lifestyle and eating habits. 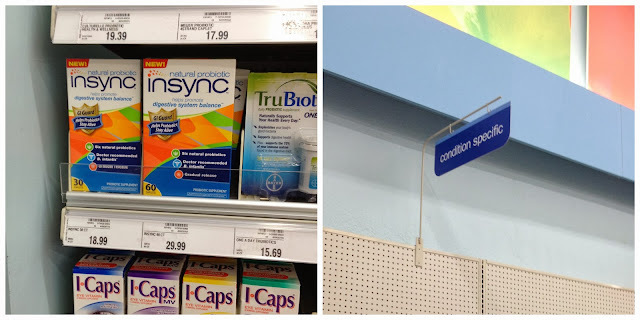 After purchasing my items, the first thing I did was contact Lola's pediatrician to make sure it was okay to take Insync Probiotics while I was nursing. 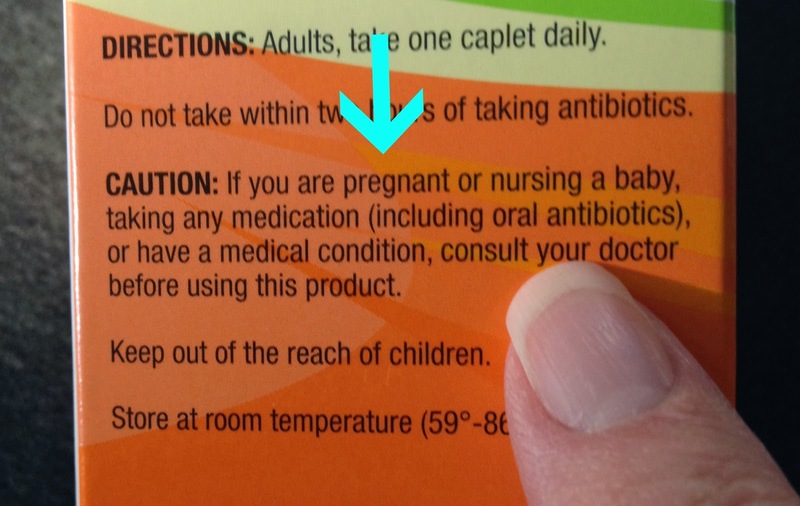 The nurse was very enthusiastic and assured me that it was absolutely fine to be taking this natural probiotic while I continued to breastfeed and offer her my milk on a daily basis. As I read more about Insync Probiotics, I actually learned that it is doctor recommended! Then I decided to designate a specific time everyday that I would take my Insync Probiotics caplet. I'm a creature of habit and once I start a routine and continue with it, I'm going to remember to do it from then on. For me, I decided to take my Insync every morning with my breakfast. It's my daily reminder that I need to continue to make good choice and eat healthy for myself and little Miss Lola. Insync Probiotics help start my day off on the right foot and reminds me that maybe a bowl of sugary cereal isn't the best choice for breakfast. Plus my tummy feels good from the natural probiotics and I know my digestive system is slowly but surely getting back to how it was before the baby. I have been taking Insync Probiotics for two weeks now and I can honestly say that my tummy and overall digestive health feel really good. There have been a lot less days where I feel crummy and basically like a stuffed turkey because there's nowhere for my food and nutrients to go. 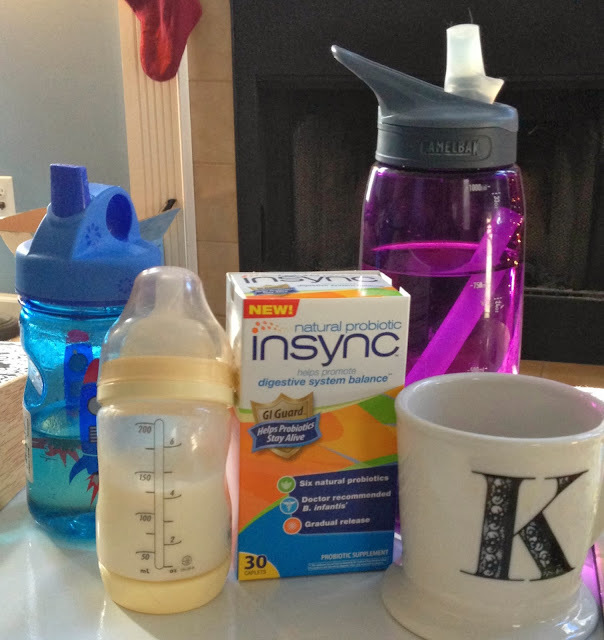 Insync Probiotics has helped jump start my digestive system back on track to almost where it was before I got pregnant with Lola. Being able to feed my body with natural probiotics has been the perfect addition to my healthy lifestyle resolution because now I don't feel like a piece of stuffed sausage, rather a light, featherlike object. Not feeling so stuffed or blocked up has helped increase my energy and my willingness to want to workout again since being cleared by the doctor. He was actually super impressed that I had added probiotics to my diet because of all the health benefits it offers - especially for a postpartum, breastfeeding mommy! I have a feeling that 2014 will be my healthiest year. I know it's only four days into the new year, but by being able to get started a bit early with my eating habits and by adding Insync Probiotics into my diet, I feel prepared and refreshed to continue this new year off the right way! 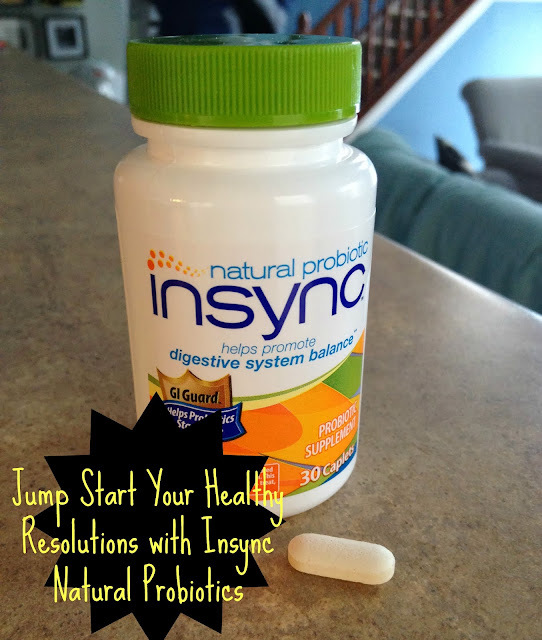 Be sure to check out more information about Insync Probiotics! Don't forget to follow Insync on Twitter too! 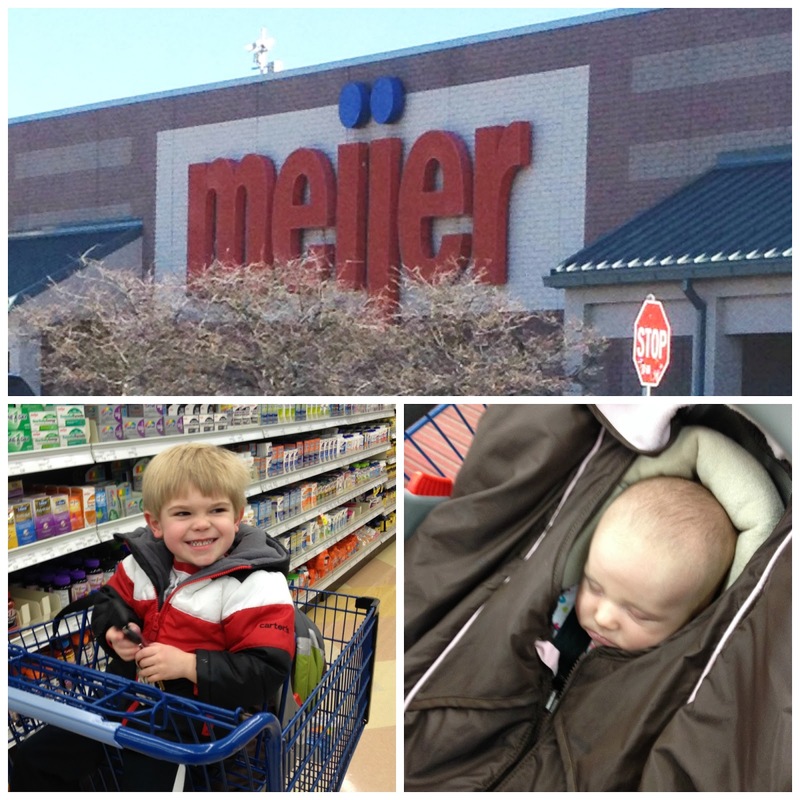 I've been giving probiotics to my girls since my oldest was 18 months old. I'm definitely a believer in all of the positive health benefits they have! I have been taking a probiotic for several months now and it really has made a difference. I am so glad that you are happy with the results. I haven't seen this brand in my local stores yet.